Fat loss is accomplished when we burn stored fat, while preserving or building muscle at the same time. Fat loss doesn’t always result in a lower number on the scale, but it will change the composition of your body. Some people think that fat can be turned into muscle through diet and exercise. You should be aware that this is a myth. Aerobic exercises like jogging have their benefits. However, there are better cardiovascular exercises, such as HIIT-style full-body moves (including burpees, jump squats etc. ), as well as things like swimming or uphill spinning, that will provide much better fat loss results. Muscle burns more calories than fat even when you are doing nothing. This is called your basal metabolic rate, or BMR. One pound of muscle burns 6 calories per day, while one pound of fat burns only 2 pounds. Even more importantly, the aerobics group’s resting metabolic rate was 210 calories less than it was before they lost weight. The resistance group’s resting metabolic rate was 63 calories more. What all of this means is that the more muscle you have the more calories you can eat to maintain or even lose fat. Another important benefit of muscle is that it is less dense than fat. One pound of fat is four times larger than one pound of muscle. That means that someone who weighs 150 pounds of mostly fat will look larger than another person who weighs 150 pounds of mostly muscle. Any activity that repeatedly raises then lowers the heart rate over a period of time can be considered HIIT (high-intensity interval training). 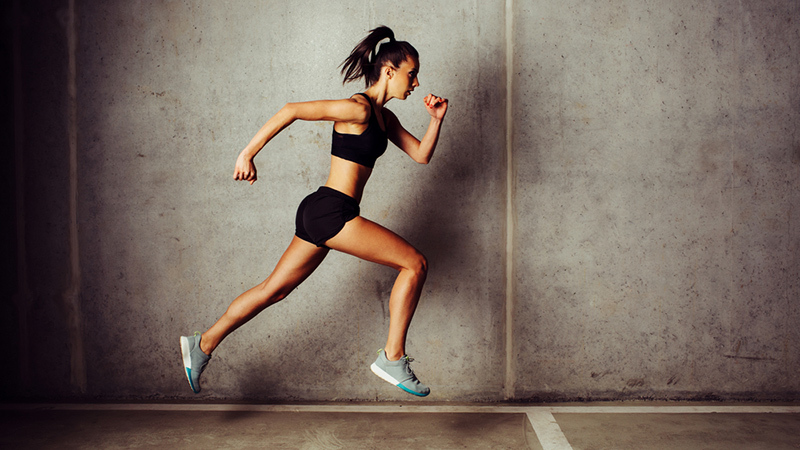 This can include basic sprints, spinning with sprints and/or hills, pylometrics, Tabatas, or bodyweight HIIT workouts that use a variety of exercises to give you a full-body workout with a cardio boost. If your goal is to lose weight just to generally see a smaller number on the scale, eat fewer calories and exercise 5 to 6 days per week. However, If you want to lose fat and build-calorie torching muscle, a combination of proper nutrition, HIIT workouts and strength-training is the most effective way to achieve a smaller, toned body.